another interesting tidbit our guide shared with us about Trim Castle. being a Middle Ages construction, the Castle lacked the lavatory amenaties we’ve come to enjoy in the twenty first century. chamber pots were emptied into a pit in the southwest corner of the Castle. one man had the responsibility of agitating the refuse, too prompt the release of gases and encourage decomposition. the gases, strong with ammonia, were handy for killing off parasitic infestations in clothing, which were hung over lavatory holes in bedchambers of an evening to cleanse them. our guide explained an additional use for the solid waste, and offered one suggestion as to the rationale for the practice. periodically, the solid waste was spread on the exterior of the castle so that it might be seen from great distances. one reason for this, our guide suggested, was to demonstrate the richness in diet — and thus healthiness — of the castle’s inhabitants. the darker the marks on the exterior of the castle, the richer the diet and the greater the health of those living inside. 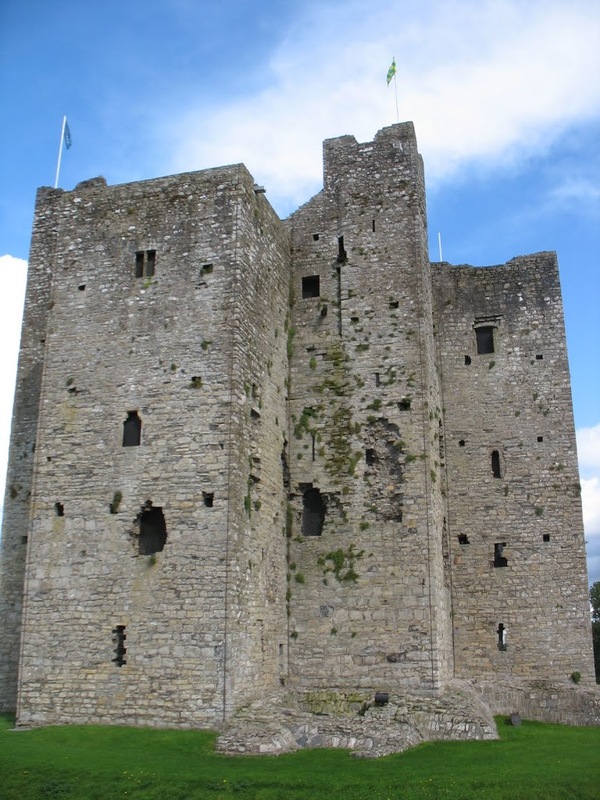 as mentioned, Trim Castle was more or less entirely abandoned during the 17th century and fell into disrepair. that didn’t mean, however, that it ceased to be a destination of interest to some. nearly a century later, visiting historical locations became fasionable as a tourist venture. without the watchful eye of OPW guides or the militant defense of historically significant locations, people felt free to leave their mark. sure, you see that kind of stuff all the time at places like Alcatraz or the Statue of Liberty — names and dates scrawled in pencil or Sharpie. on some level, it’s interesting to think about how future historians might look back on the marks that we leave in such places. at Trim, there are marks — graffiti scratched into stone — from people who visited over two hundred years ago. this one, that our guide pointed out, was the clearest to come out in a photograph, but there were marks like this all over the walls. it reads “Campbell 1743” (the marks were about two inches tall). in addition to the very well-preserved Trim Castle (the top of which this photo was taken), there is a very well-preserved Barbican gate. each side of the gate served as a different location during the filming of Braveheart. one side was York, and I forget the name of the other location. Barbican gates were designed to give archers an advantage over advancing troops and this one had two drawbridges.